There’re several Benefits of Hiring an Event Management Company. When planning, organizing and executing events, there are a tremendous number of advantages to using an event management company. Event management companies cohesively work together to ensure the success of your event. Prague Eventery’s team of dedicated innovators thrive on creative thinking to guarantee the execution of your event in the most spectacular way possible. Event planners are eager to learn about your specific event and get as many details about it to help your event run as smoothly as possible. They take into account your overall objectives, timeline, guest count, budget and personal preferences. The more information event planners receive, the more likely your event is to run exactly as you hope it will. Prague Eventery has the skills, capabilities and experience to work with its clients to produce some of the best, most exciting events in Prague. What is the role of an event manager? Event managers have the important job of making sure that their client’s event runs as smoothly as it possibly can. Based on their client’s interests, they hire and supervise a staff, reserve one or many locations, arrange catering services, organize entertainment and set up other accommodations for the event. They will typically set an objective for how they would like the event to be accomplished. From there, the event manager meets with reputable organizers, vendors and other event specialists to develop an agenda for the event within the client’s budgetary constraints. Prague Eventery’s primary focus is utilize its staff’s extensive knowledge to provide you with services that are perfect for your event – ranging anywhere from event concept and design to team-building and entertainment services. In choosing to hire an event manager, you are making the valuable decision to help your event to run as favorably as possible. This blog highlights the most beneficial facets that come with hiring an event manager. Although some may feel that hiring an event planner will end up being more expensive, this is typically false. Good events companies have direct connections with organizers, vendors, and caterers, allowing them to get good rates on these services, thus getting clients the most out of what they pay for. If you have a specific service in mind that you want for your event, planners can easily give you a quote for how much that service will cost and whether or not it will fall within your budget. Instead of doing all of the work and research on your own to find the services that interest you, hiring an expert in the event managing field prevents you from wasting time trying to figure that out on your own when you may not even be getting the best deal. Our company’s connections can easily set you up with exciting entertainment options such as a fire show, a salsa orchestra or an acrobatic performance without you having to do any of the work to find those services on your own. Benefits of Hiring an Event Management Company – CREATIVITY! Anyone can plan an event, but getting a good event manager can allow your event to stand out from the rest. It is the job of event managers to think creatively so that they can get you the most from your budget. Event managers are constantly asking questions about how they can be doing better so that they can get the best results for their clients. Every client and every event is an opportunity to push the boundary of creativity further than in the last event. 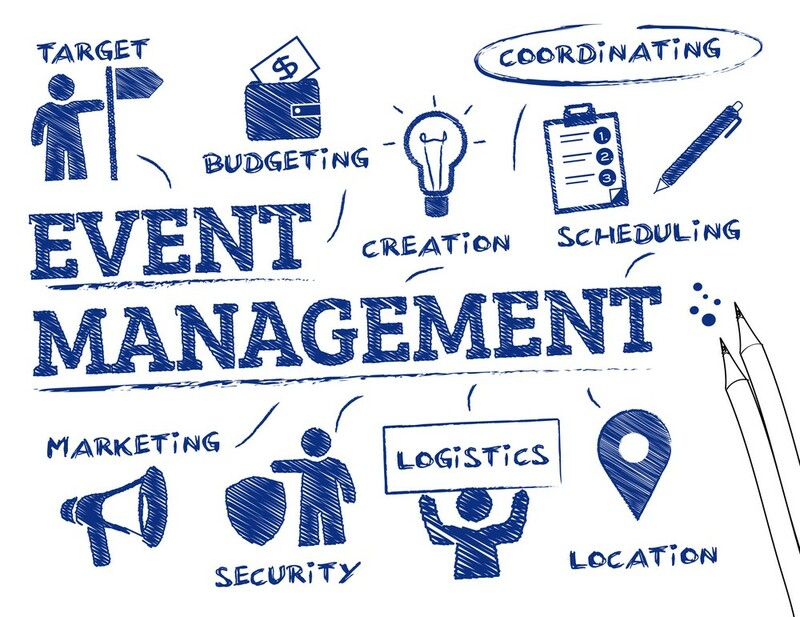 Event managers want to have a good reputation as a company; therefore, they want to be remembered for their ability to integrate imagination and originality into their events. Prague Eventery has a diverse, creative selection of team-building exercises, methods of transportation and intriguing entertainment options that will give your event individuality, allowing it to stand out from others. Event managers understand that they are expected to provide you with a successful service. Achieving customer satisfaction for every client is extremely important for them so that they can maintain their reputation as a good event planning company. Clients expect a keen attention to detail and high level of expertise when they use event planners. Developing a strong vendor network gives event managers the luxury of being flexible with their clients. When companies market themselves, they intend to highlight the specific advantages their company has compared to others. The more a company can do to meet its client’s needs, the more is expected for the event to be successful. A strong proposition between the client and the event manager allows them to make a confident, trustworthy agreement. With unmatched professionalism, creativity, attention to detail and flexibility, Prague Eventery challenges its clients to expect more, ultimately assuring a commitment to customer satisfaction no matter what the client’s request is. From the beginning to the end of an event, event managers are careful to not overlook any detail. They are trained to construct a strategic management plan and implement it to ensure that things do not get missed during the execution of the event. Event managers are careful to intently evaluate the logistics of the event prior to its administration. For example, before, during and even after the event, planners are making sure that the proper personnel and equipment are being delivered to the right place at the right time, they are making sure security is nearby when need be, making sure that the location is suitable and that the transportation is easily accessible. They are most notably making sure that the event is matching their client’s desires in accordance with what they requested. Essentially, every detail, both big and small, is carefully considered by the event managers when the event is being planned. Prague Eventery’s wealth of experience in event planning has given the staff the foresight they need to know what to do in every scenario if something doesn’t go exactly as planned. Trust Prague Eventery to plan your next major event in order to guarantee you the most fantastic event, as well as the customer satisfaction, that you deserve. I like that you explain how having an event manager helps everything run smoothly and allows them to arrange everything you need. When choosing one, you’d probably want to research local companies that specialize in event production and other services so that you can find one with the skills and experience you need. Once you’ve done this, it could help to meet with the ones that fit your requirements so you can ask questions and make sure you’re comfortable working with them.